Willet egg, collected in 1904. The UWZM bird collection includes study skins, mounts, nests, and eggs. Some of our oldest specimens (ca. 1845) are in this collection. 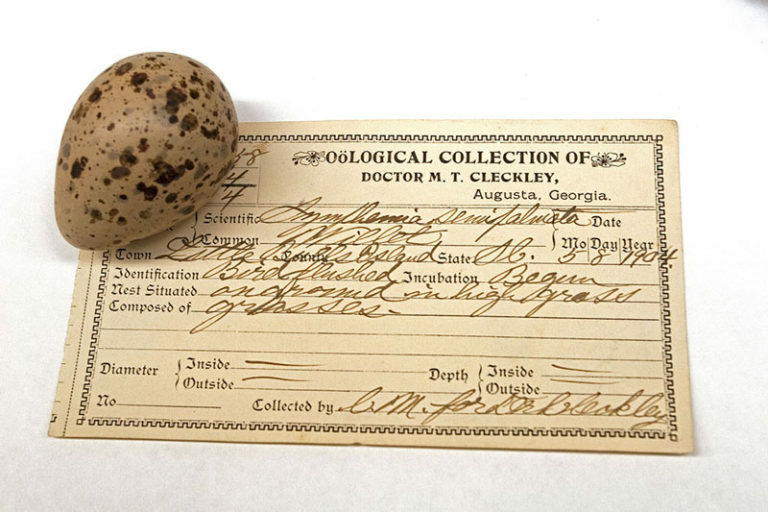 The collection features specimens collected by Wisconsin ornithologists Thure and Ludwig Kumlien, over 2000 egg sets from the late 19th century, and specimens from Wisconsin, North America, South America, and Asia.